Like most people, my first line of support were my best girlfriends: the ones that would let me cry on their shoulders and encouraged me along the way. They would tell me how it was his loss and I deserved better than that. They were willing to jump in that pit of pain with me, calling him an a*#hole and telling me that I’ll meet someone better one day. The problem with only having your girlfriends is that the telling and re-telling of that story again and again can keep you stuck in that story. And your girlfriends who love you will listen to that story for as long as you need to tell it because they want to be there for you. 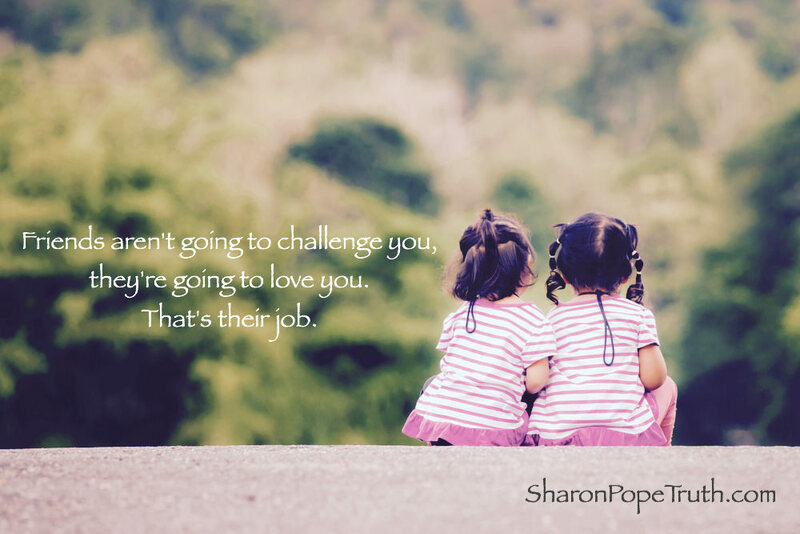 Friends aren’t going to challenge you, they’re going to love you. That’s their job. One of the places where coaches who do this kind of work get stuck is by being there for their clients. A coach can be there for you and much like your girlfriends, jump right into the pit of pain with you. But if they’re in the pit with you, it’s difficult for then to help pull you out. Listening to heartbreaking stories all day can take its toll on a coach. It can deplete their energy and drain their enthusiasm if they allow it. That’s what happens when the pull of the client and the weight of their sad stories are strong enough to pull the coach into the pit with the client. Alternatively, a coach can be here for you. A coach can be here calling you toward your emotional healing and wellness. A coach can be here seeing the perfection in your journey, even when it’s still veiled to you. A coach can be here handing you a ladder so you can step out of the pit through your own strength. A coach can be here standing in the truth of who you are and seeing your light even when you’re still standing in the dark. A coach can be here where love is. And rather than jumping into the pit of pain with you, a coach can take you by the hand and gently guide you out of the pain and back to your own heart.